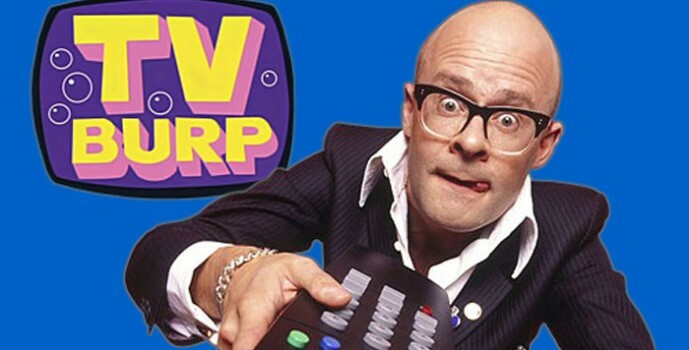 Comedian Harry Hill teams up with Accelerate Productions performers Nina Malone & Billie-Kay feature on this weeks Harry Hill’s TV Burp. BAFTA winning comedian Harry Hill takes us on a surreal ride around the past week on television in the UK. He parodies scenes from popular programmes such as Eastenders, Coronation Street and Life on Mars, and presents his own unique and sometimes bizarre observations which regularly succeeds in making the audience laugh out loud. After over ten years and eleven series, Harry decided to call it a day on the popular series in 2012.